The stock dipped 4 per cent to Rs 772, falling 5 per cent from intra-day high on BSE, as tractor sales down 6 per cent at 17,404 units in December over the previous year. Shares of Mahindra & Mahindra (M&M) dipped 4 per cent to Rs 772 apiece, falling 5 per cent from intra-day high on BSE, after reporting disappointing sales numbers for December 2018 due to tight liquidity and low buying sentiment. The company said it has sold 17,404 units of tractors in December, down 6 per cent as compared to 18,488 units sold in the same month last year. Domestic tractor sales were down 2 per cent year-on-year (YoY) to 16,210 units, while exports sales almost halved to 894 units in the month of December against 1,633 units in the previous year. The company’s total sales on the automotive business front remained flat with 39,755 units sold in December buoyed by strong performance in exports. It had sold 39,200 units sold in the same month of the previous year. Exports for December 2018 stood at 3,065 vehicles, a growth of 38 per cent on YoY basis. “However in the domestic market, challenges relating to tight liquidity and low buying sentiment continue the de-growth for December. We hope to see good performance in Q4, owing to the anticipated rural demand because of the harvesting season and the launch of our new XUV300 in February 2019,” Rajan Wadhera, President, Automotive Sector, M&M said. 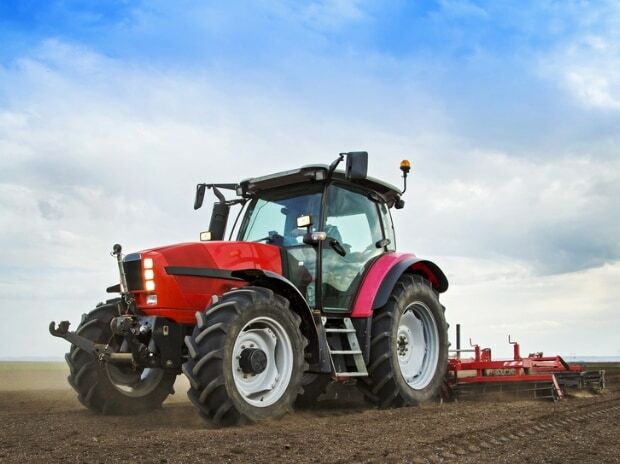 “Even though the Rabi crop sowing has been lower than desired, we hope that the government's initiatives in the agri and rural sectors would enable tractor sales momentum in Q4 F19,” Rajesh Jejurikar, President - Farm Equipment Sector, M&M said. In the past four months, M&M has underperformed the market, by falling 20 per cent, as compared to 7 per cent decline in the S&P BSE Sensex. The stock hit an all-time high of Rs 992 on August 30, last year in intra-day trade.